The United States will impose new sanctions against Russia for the use of chemical weapons against a former spy in Britain, the U.S. Department of State said Wednesday. The sanctions related to the poisoning of 66-year-old ex-spy Sergei Skripal and his daughter, Yulia Skripal, 33, in March will go into effect on or around Aug. 22, after a 15-day congressional notification period, State Department spokeswoman Heather Nauert wrote in a news release. 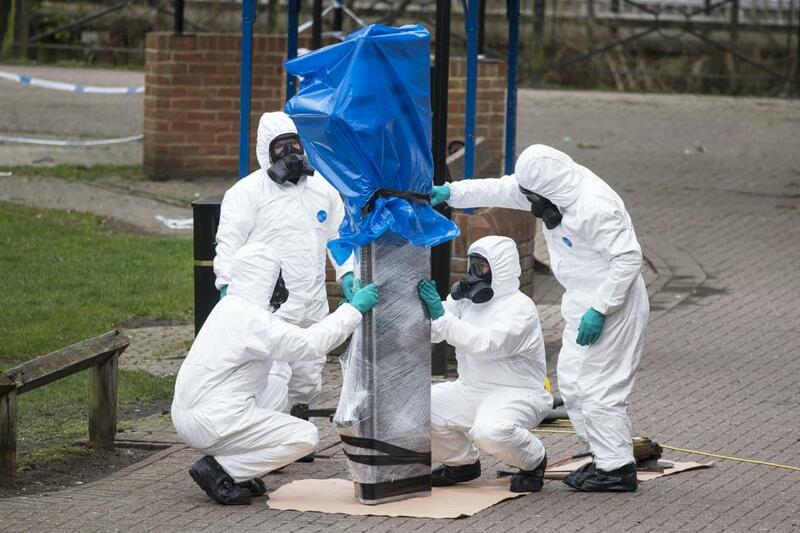 "Following the use of a 'Novichok' nerve agent in an attempt to assassinate U.K. citizen Sergei Skripal and his daughter Yulia Skripal, the United States, on August 6, 2018, determined under the Chemical and Biological Weapons Control and Warfare Elimination Act of 1991 that the Government of the Russian Federation has used chemical or biological weapons in violation of international law or has used lethal chemical or biological weapons against its own nationals," wrote Nauert. [post_ads]British officials, including Prime Minister Theresa May and Foreign Secretary Boris Johnson, as well as the United States, France, Germany and other Western countries blamed Russia for the attack days after it took place. The Organization for the Prohibition of Chemical Weapons confirmed the Russian-made Novichok nerve agent was used in the attack on Sergei Skripal, a former Kremlin spy, and his daughter in April. Later in April, British national security adviser Mark Sedwill wrote a letter to North Atlantic Treaty Organization Secretary-General Jens Stoltenberg stating Russia monitored Yulia Skripal's emails for at least five years. Earlier this month British media reported investigators used facial recognition technology to identify two suspects in the attack in Salisbury. Neither of the unnamed suspects were known to have been spies or used in other attacks, and both are believed to have taken a commercial flight out of Britain shortly after the attack on the Skripals. Sergei Skripal was released in May after being hospitalized for more than two months, while Yulia Skripal was released a month earlier.